Disk Drill is a well known file recovery utility for Windows and macOS. 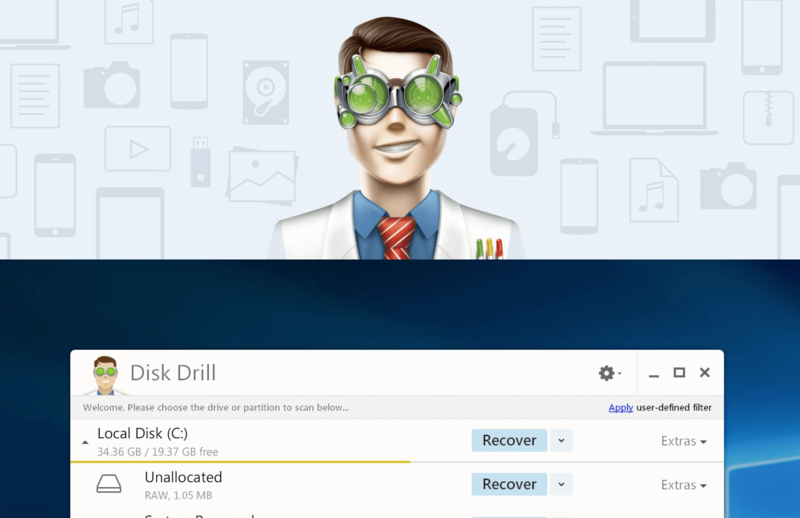 As with most data recovery software, Disk Drill scans your storage (including external drives and even mobile devices) to retrieve and later reconstruct lost files. But perhaps most importantly, Disk Drill often gets high marks from users and testers due to its numerous capabilities, support for many different file systems, file signature support and great filtering tools, so you can retrieve just what you need when time comes. Congratulations to the winners of the Disk Drill Pro giveaway. We'll be contacting soon via email. For those of you who didn't catch the giveaway on time or were not selected, Cleverfiles is offering a generous 50% discount on Disk Drill Pro for Windows and macOS, use the coupon code: TECHSPOT. Here's the full list of winners: antiproduct, Billy Vinson, cyberneTeksIT, Daddio, debnath86, evilanimator, Gabriel Pike, gusticles41, herbalfire, hitech0101, hkc001, ikesmasher, Jeff Re, Kibaruk, lchu12, LinkedKube, Macmega, madboyv1, mattcamp, MUMMZ, Mythris9, ShagnWagn, sinewave, stewi0001, Techdan, TekFred, Tgard, Theinsanegamer, Tylorllll, VBKing, Whitefyre, Wizwill, Wukong543. Cleverfiles, the developer of Disk Drill, has offered to giveaway 50 licenses of Disk Drill Pro to TechSpot readers. So here's your chance to get a license of their fully featured and well regarded data recovery software. Disk Drill has a free version that gets you many of the program's capabilities with a cap of 500 MB. Of course, the Pro version ($89 value) removes that limitation, includes support for 1 user on up to 3 computers, and standard features like quick & deep scan, partition search, all file systems (FAT32, NTFS, exFAT, EXT3/4 etc.) and file reconstruction for 300+ file formats. There are plenty of other features that we won't cover here but are part of Disk Drill (the macOS version has more features), you can check them out here. First, post a short comment in this story to confirm you want in the drawing. We'll be monitoring all comments for the most insightful, funny, or otherwise interesting posts. The best comments will get a license. If you get liked by one of our staff members or en masse by fellow readers, that's a good sign. That's it. The giveaway is open until next Wednesday, February 21. Winners will be notified via email after the contest is over. First responders will get to choose which version of the software they prefer, first come, first serve. Good luck!